Botlink’s software is about to evolve your construction site. Increase frequency of data collection, accurately and more effectively assess bids, and lower your costs. Botlink is compatible with fixed-wing, multi-rotor, and vertical takeoff and landing drones, allowing you to switch between drones based on your needs. 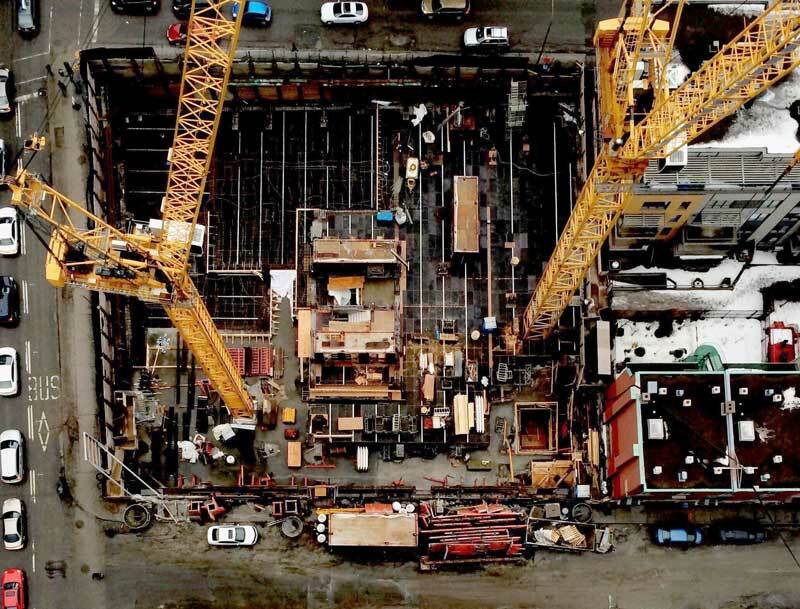 Photo stitch aerial images into a single, high-definition map to stay up to date with your entire job site. Use automated drone flight technology to turn aerial 2D photos into 3D models. Digital surface and 3D models identify high and low points or drainage problems. No two projects are the same. Choose between linear and area surveys, and easily drag-and-drop flight patterns over your job site. Save flight plans to fly again and monitor work site progress over time. Drones are versatile tools for safely and efficiently capturing imagery and documenting progress at construction sites. Share aerial maps with crews to streamline workflows and communication. Aerial drone maps help keep workers out of harms way and validate your safety practices. Drone mapping can also provide checks and balances when directing subcontractors. Turn raw images into data-rich work site maps. Take length, area, and 3D volumetrics in our web app and organize maps in folders to track progress over time. Drone site maps, terrain models, and drainage maps help you write accurate bids more efficiently. Win more projects and put more money in your pocket. Easily export image files to software such as Procore, Autodesk, and SketchFab, so you can streamline your workflow and get expert insight with tools already familiar to you. Botlink enables construction professionals to quickly capture data about your work site, distribute it to construction management tools and respond to changing conditions on demand.